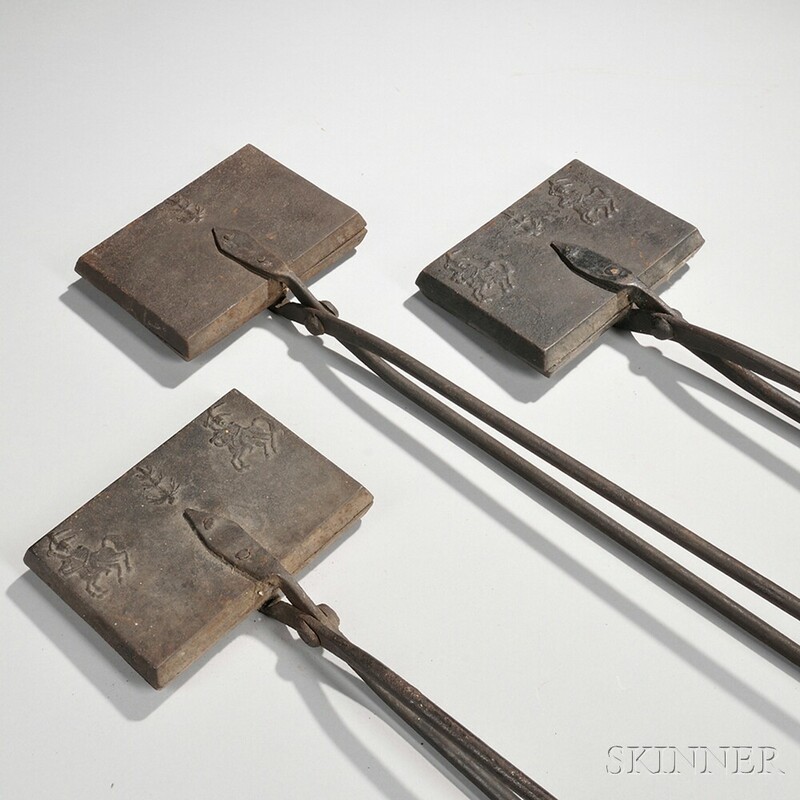 Six Wrought and Cast Iron Waffle Irons, America, late 18th/early 19th century, four with Hessian soldiers and trees embossed on either side of the exterior, lg. to 25 1/2, wd. to 6 1/4, and one with embossed military drummer, fife player, and trees on one side of the exterior, lg. 24 1/2, wd. 6 1/4; one with embossed horse and groom, bust of gentleman, and "E.B. BERLIN, Ct." on one side, and embossed bust of second gentleman and "BERLIN, Ct." on other side of waffle iron exterior, lg. 25, wd. 6 1/4 in.